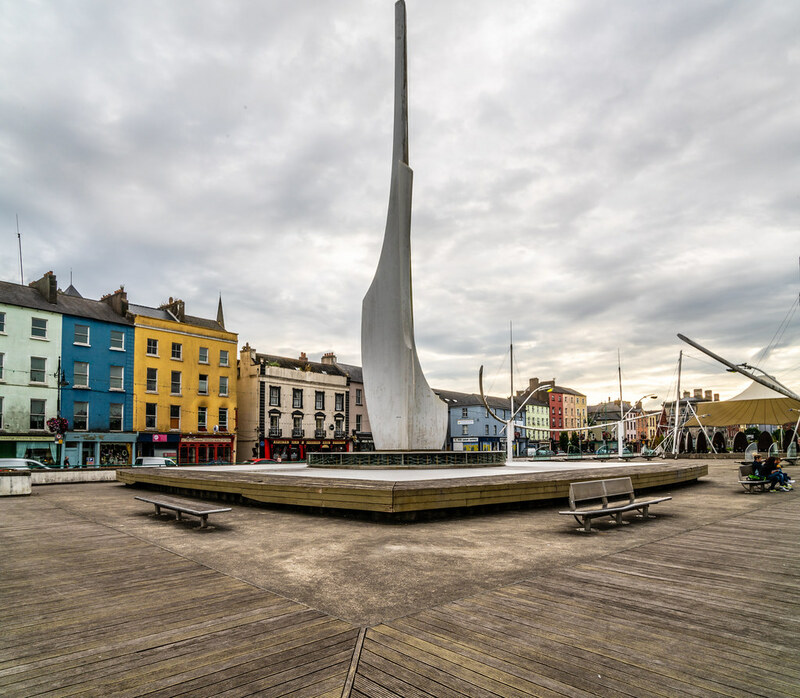 This sculpture is on a roundabout on Waterford quay near the car park and it is a tall ship by Cork artist Denis O'Connor. 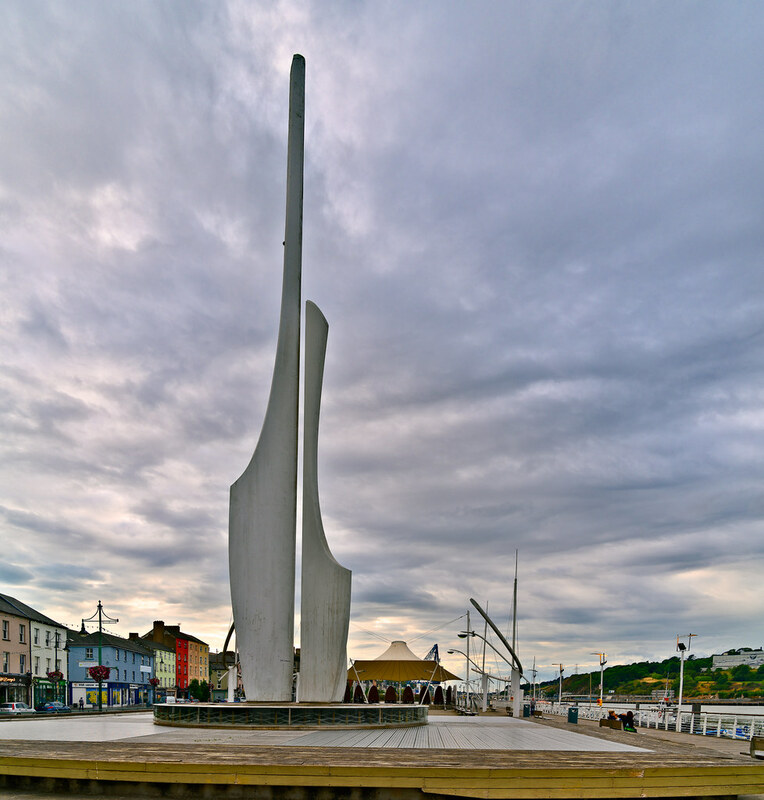 The ship is on stilts so it is raised above the roundabout and can be easily seen by traffic and pedestrians alike. There is a more interesting sculpture by the same artist at Grattan Quay.